Bergen County authorities charged a North Bergen taxi driver with manslaughter in the death of a Ridgefield man found dead on the sidewalk outside the Ridgefield post office early Sunday morning. The victim, identified as 27 year old Lucas Telefor, was a native of central Guatemala. 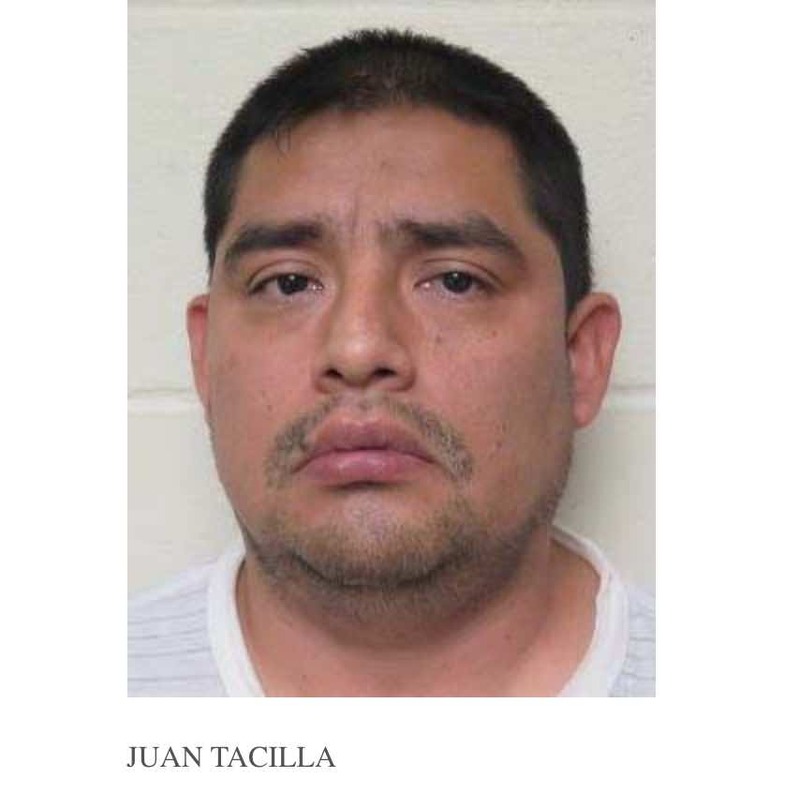 The taxi driver, identified as 40 year old Juan Tacilla, is being held on $500,000 bail pending a hearing Wednesday in Bergen County Superior Court. Tacilla was identified by authorities as a North Bergen resident and worked as a driver for a North Bergen cab company. Public records indicate Tacilla lives at a 1st Avenue address off 76th Street, five blocks from North Bergen High School. According to a report first posted in NorthJersey.com, Tacilla picked up two passengers together, Telefor and one other man, and drove them to Ridgefield around midnight Sunday morning. Once in Ridgefield, the two passengers and Tacilla had an argument and Tacilla pulled over. The altercation allegedly occurred on a sidewalk on Broad Street in Ridgefield. According to authorities, Tacilla struck the victim in the head several times. The victim, Telefor, was found several hours later on the sidewalk outside the Ridgefield post office. There is no indication yet what caused the alleged altercation, whether the second passenger was involved or whether the alleged altercation led to the victim’s death. Bergen County Prosecutor Gurbir S. Grewal announced the arrest of JUAN C. TACILLA (DOB: 09/24/1976; married; and employed as a taxi driver) of 7609 First Avenue, North Bergen, New Jersey on a charge of second degree Manslaughter. The arrest is the result of a joint investigation conducted by members of the Bergen County Prosecutor’s Office under the direction of Chief Robert ANZILOTTI and the Ridgefield Police Department under the direction of Chief Thomas Gallagher. On Sunday, November 20, 2016, at approximately 6:05 a.m., a Postal Worker arriving for work at the United States Post Office, located at 757 Broad Avenue, discovered the body of an unknown male in the rear parking lot of the post office. Law enforcement, including the Bergen County Prosecutor’s Office (“BCPO”) Major Crimes Unit, responded to the scene and determined that the unknown male was deceased. BCPO Detectives later identified the deceased as LUCAS TELETOR (DOB 03/27/1989) of Palisades Park, New Jersey. Subsequent investigation revealed that TELETOR and an acquaintance had traveled from an establishment in North Bergen to the area of 729 Broad Avenue at approximately midnight in a local taxi service. During the trip, there was an altercation between TELETOR and the taxi driver, JUAN C. TACILLA. TACILLA then pulled his taxi over in the vicinity of 729 Broad Avenue. Thereafter, a fight ensued between TACILLA and TELETOR outside of the stopped cab, at which time TACILLA struck TELETOR numerous times. TELETOR later was found deceased in the Post Office parking lot. An autopsy finding, including toxicology examination, by the Bergen County Medical Examiner is pending. As a result of the investigation, JUAN C. TACILLA was arrested on November 20, 2016 and charged with Manslaughter, N.J.S.A. 2C:11-4b, a second degree crime. The Honorable Susan J. Steele, P.J.Cr. of Bergen County set bail at $500,000.00 with no ten percent option. As a condition of bail, TACILLA is to have no contact with the victim’s family. TACILLA is scheduled for a first appearance on November 23, 2016 at 11:30 a.m. before Judge Steele in Courtroom 412. Prosecutor Grewal states that this charge is merely an accusation and that the defendant is presumed innocent until and unless proven guilty beyond a reasonable doubt, and would also like to thank the Ridgefield Police Department for their assistance in this investigation.